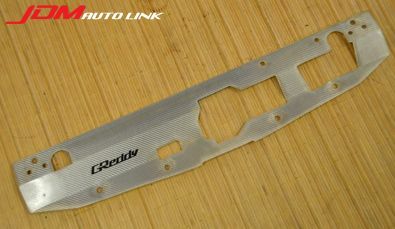 Pre-owned GReddy Carbon Fibre Air Diversion Plate for the Mitsuibishi Lancer Evolution IX (CT9A). 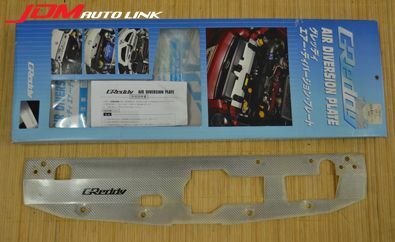 These are designed not only to improve looks in the engine bay, but also to direct airflow to the radiator core, thus improving cooling efficiency. 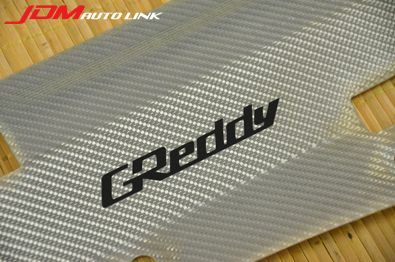 It is made from silver carbon fibre and embossed with the GReddy logo.